Bits and Pieces...: The Cat's Out of the Bag!!! Yay, I can FINALLY spill my secret!!! I am going to be Papertrey Ink's Distinguished Guest Designer for October and November! To say that I'm honored is an understatement. ;) When Nichole emailed me, I almost fell out of my chair. I just adore anything and everything PTI. I drool over the new releases every month and am always amazed by the super talented design team. I can't believe I get to play along with them for these next couple of months! To celebrate, Papertrey is giving away 'Anabelle's Favorites'. Here is what you can win. These are definitely some of my favorite 'go to' products when I'm designing. (I'm trying to get a bigger graphic, but for now, click on the image to see it more clearly.) The prize package includes... Damask Designs, Polka Dot Basics 2,In Bloom stamp sets, Kraft, Lemon Tart and Sweet Blush cardstocks, Lemon Tart and Sweet Blush buttons, and some Aqua Mist swiss dot ribbon. You have until 7am EST Friday, October 9th to post a comment here and be eligible to win this prize package. Please play nice, only one entry per person. One winner will be randomly selected at the close of the contest and announced on the October Release Winners page before noon EST the same day. This one uses Damask Designs along with two of my favorite PTI colors - Aqua Mist and Lemon Tart. I used the Simply Stationery Set along with Melon Berry, Aqua Mist and Dark Chocolate on this one. The lighting on this one is lousy, but you'll get the idea. 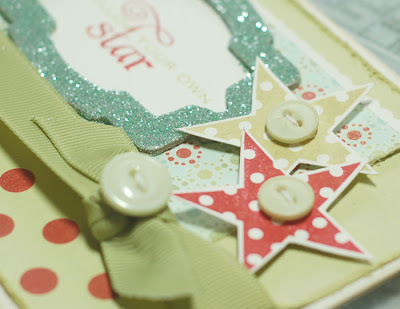 I used Star Prints and Polka Dot Basics on here. And this last one uses Tags for Easter and Mega Mixed Messages. Thanks so much for stopping by and for celebrating my big secret with me! Have a great day. Congrats! How exciting! Beautiful cards, can't wait to see more! Congrats - looking forward to seeing your designs the next couple months. Love your style. Oh I'm so excited for you I'm a faithful follower of your blog and would of never thought to put the melon berry,aqua mist and dark chocolate together. Congrats on the great design opportunity to be able to work with these fabulous designers I love the papertrey team. congratsulations! i went to put your blog in my favorites and it was alredy there! i remember saving some of your cards to look at again and again..thanks for the chance to win some PTI goodies..
Congrats and welcome to PTI! I love your style and can't wait to see more! Wow, congrats on your 'appointment'! How exciting for you, and for all of us to see what kinds of things you come up with! I have definitely seen your work in many, many craft magazines and love your work! So excited about your new "connection" with PTI! Congratulations!! Looking forward to seeing all of your amazing work with them! Congratulations Anabelle! Your work is lovely and I can't wait to see what goodies you have in store for us as you work with PTI! Oh my goodness. I can't wait to dive into your blog and get inspired by all things Annabelle! I am so excited! I love your style and have been following your blog for a few months! Of course I always love to see what you do with PTI stamps and am looking forward to all of the inspiration you will be sharing! Thank you for sharing your talent with us! Your style is just beautiful!! Congratulations on the opportunity to design with PTI!! Welcome! I can tell you are going to fit right in with all the wonderfully talented ladies at PTI. I look forward to seeing more of your work. It is obvious to me why you were chosen to be a guest designer...your work shines! Congrats! Congratulations. I'm looking forward to seeing all that you have to offer over the next two months! I love looking at your work. It is just breathtaking!! I can't wait to be further inspired!! Congrats! What fun to see what you do with PTI! Congrats! I'm loving your stuff so far - can't wait to fully explore your blog! Congratulations! Lucky girl. Your cards are beautiful and I'm sure you'll share much inspiration these next two months. I lov eyour style and your blog! Keep up the incredible work! What a super fun secret to finally get to share! Congratulations to you, and thanks for a chance to let us win some of the goodies you enjoy so much! Congratulations. I can't wait to see what you create for PTI in the coming months. Congratulations. Your work is inspiring and beautiful. I am excited to get to experience more of your work over the next couple of months. I am off to browse more on your blog. Love the stuff I have seen by you so far. Congratulations! I love how you layer your projects - you are a great inspiration. I just love your style! Congrats on joining the PTI team for the next couple of months! I know I will love seeing what you do with their wonderful products. Anabelle, I can see that you're a great talent to join the dt! Welcome!!! Can't wait to see more of your beautiful creations! Congrats! So exciting, can't wait to see more. Congratulations! I can't wait to see what you will do with the newest PTI sets. Your work is beautiful and I've added yours to my favorites list of inspirational blogs. Ah! I'm so excited! I just CAN'T WAIT to see what you come up with this time! OH my goodness . . . that is exciting news!! Congrats!! I can't wait to see your creations using the new stamps!! I am a giant fan of PTI as well!! I love your cards, too! Great use of their products!! Congratulations!! I love your work and am looking forward to seeing more of your designs with PTI. Congrats, WOW I love your style. great cards. congratulations Annabelle!! I couldn't be more happier for you!! I'm such a fan of your work!! Congratulations! I am anxious to see what you can do with the Papertrey stamps! Congratulations, your cards are very beautiful!!!! Can't wait to see what you do with PTI's products. Thanks for the chance to win! Congrats! I can't wait to see what you do with all the new PTI goodies. congrats, anabelle! you are such a talent! So happy to have found your blog through the PTI website. I love your style. Congrats! Although I'm sure we'll all be the real "winners" here, seeing all your fantastic inspiration PTI-style! So excited to watch as you play along with the PTI gals! Congratulations! Oh my goodness, Annabelle! Congratulations. I see what Nichole means about details, wow! I am so looking forward to seeing what you create with this new release! So happy to "discover" a new to me talent. How fun to have you share with the Papertrey Team for the next couple of months. Love your cards here and would love the chance to win some of your favorites. Love the intricate detail that you add. Congratulations, Anabelle! I love your style and am looking forward to seeing more of your work with PTI. Keep up the great work! I love seeing your published work, and now I'm looking forward to your PTI projects for the next couple of months. A match made in heaven. Congrats. Anabelle I am soooo happy for you! I think this is the highest honor a cardmaker can receive : ) Papertrey Ink's products always amaze me and are the best on the market! Can't wait to see what you create with them! Congratulations! and wow! your designs are absolutely amazing. What a lovely color combination! I admire your creations! I love your card! I'm always looking for inspirational blogs to add to my list. Your cards are just gorgeous! It's going to be fun to see your Papertrey samples. Congratulations Annabelle! Wowie wow! I'm so excited for you. I can't think of anyone more deserving. Congratulations, Anabelle! Wow, your work is amazing! And you chose some of my favourite PTI goodies for your candy. Thanks for the inspiration here! Your cards are so beautiful! I especially love the first one on this post. Congratulations and I'll look forward to even more inspiration from PTI! Big congrats!!! I adore PTI, too!! You definitely deserve to join their ranks! Congratulations! Your work is so pretty, I can't wait to see more! Congratulations, Anabelle! I love your card! I'm always looking for inspirational your blog. Yay Annabelle!!!! I am so excited for you and for us! I love everything that you touch and look so forward to more PTI creations from you!!!!!! Hi Anabelle, Congrats on your guest designer spot! I'm so glad to have found your blog. Lots of yummies! your style is amazing. i look forward to seeing all your fun things! Congrats on your wonderful news. I love your cards and now I can't wait to see what you do with the October release at PTI. Yay! So fun! Congrats. Fun stuff for sure! Such pretty cards, welcome on board! You have great taste in your favorite products. ;-) Thanks for the chance to win them! Wow! What great news! Congratulations on being Guest Desinger for PTI! Your work is great with a vintagey feel, so full if great detail! Can't wait to see what you come out with at PTI! Well I'm not a bit surprised you're the guest designer!! Your projects are always amazing!!! Congratulations! Your work is beautiful! I will enjoy seeing your work! Congratulations! I love your work and I can't wait to see what you have in store for the next couple of months! Welcome designer!! I is always fun to see someone else style, having lost a bit of Mojo myself. So far seeing some nice cards!! Congrats on joining with PTI! The cards are beautiful and I can't wait to see your upcoming projects. 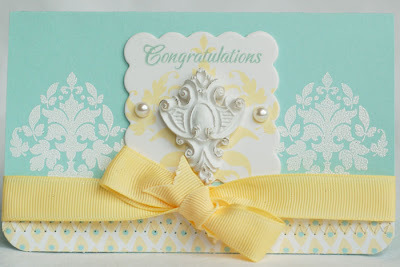 Congrats on the Guest Designer role - I love your cards and look forward to seeing more of your work with PTI goodies! I love these cards! Congrats on joining PTI as a distinguished designer! I look forward to see what neat things you will bring us! I love the sets your picked for the prize! COngrats! I'm sure you will have a blast! I love all of your favorites! I can't wait to see more! Congratulations! I can't wait to see what you make with PTI's new releases and more! love your refreshing style and color choices! Congratulations on being the new guest designer! Can't wait to see more of your beautiful projects! Im so excited for you! Congratulations! Congratulations! That's so cool! I can't wait to see your work in the next two months. Congratulations Anabelle! So great to see 'one of our own' picked as the Guest Designer! What a fab giveaway too!! Can't wait to see what you do with all the new PTI goodies over the coming months!!! Congratulations! You are be able to work with the PTI design team! Your cards are gorgeous. I look forward to seeing what you will be making over the next few months! Welcome aboard!!! I love the papertrey products, but from afar. Have not been able to buy any for myself yet, but love what they design. Beautifull. I think you are a great choice! Congratulations on the exciting news. I haven't come across your blog before but am glad I followed the link from Nichole's because your creations are very inspirational! Wow, your cards are gorgeous, congratulations on your Guest Designer for the Papertrey team.... definately gone into my favourites. Congratulations! I'm a huge fan of Papertrey and look forward to seeing what you design! Thank-you! Congratulations! Your work is beautiful and I can't wait to see more!! Thanks for a chance to win your favorites! Congratulations! Your cards are so wonderful! I've been admiring them for awhile now! It'll be fun to see your PTI creations! Congratulations Anabelle - I love your crafting style and look forward to having your blog in my Follow list so I can keep up with you. Just love that splattered tree! Congratulations! I look forward to seeing your designs. Congrats from a fellow Delaware resident in Newark! My son is a cub scout too, it is a great experience, plus more stuff to craft! Love the cards and excited to have you as a guest designer for PTI! Congradulations! I can't wait to see all your wonderful creations with all the fabulous Papertrey products. Your cards are fabulous! Congratulations on being picked as guest designer for PTI... I'm so glad I stumbled along your blog, the stuff here is amazing! Congratulations! Look forward to learning from you and gatherng inspiration from your ideas. Your work is beautiful! Congratulations! Your work is terrific! I can't wait to see what you have in store for all of us! Congratulations! I'm looking forward to see your work with all of the new PTI products! Congratulations. Love your cards. The color combinations are wonderful. Congratulations on your PTI appointment! Anxiously waiting to see all of your clever designs! Congratulations! You will be a fabulous addition to the PTI team. Your work is beautiful and I can't wait to see how you'll use the products that we all love so much. Congratulations! Your creations are absolutely breathtaking. Congratulations! I can't wait to see your creations for PTI. Your cards and layouts are beutiful and your eye for detail is truely inspiring. Thanks for the chance to win! A very big and from what I can see a very deserved Congratulations on your guest designer opportunity!! Your cards are just beautiful! I love your eye for color and details. I am excited to watch all your amazing creations over the next couple of months. Another blog favorite to add to my google reader!! Love your favorite picks as well!! I am drooling!! Nichole was right! Your style is awesome! It will be exciting to see your style with the PTI stamps released this month! Thanks and blessings! Congratulations, Anabelle! I've been following your blog for some time now and am always inspired by the way you combine your elements. Can't wait to see what you come up with next!! Congrats. I can't wait to see your newest PTI creations! Thanks for a chance to win such great stuff! I look forward to seeing all of your designs! Congrats. Your cards today are beautiful and I can't wait to see whay you do over the next two months. Adding your blog to my google reader so I won't miss anything. Welcome to PTI!! What a wonderful honor. I love all the cards you made. You make really beautiful cards. Congrats on being a PTI Guest Designer. Congratulations Anabelle! I can't wait to see what you do with all the new PTI goodies! Your work is beautiful and I'm loving your style. TFS. Congratulations Anabelle!!!!! So very excited for you :) I have always admired your work and look forward to your seeing your PTI creations!!!! Way to go girl!!!! your blog is wonderful, know wonder you are being highlighted by Nicole...congrats. How excititng. It looks like you have some fabulous picks. Congratulations! I love PTI, and can't wait to see what else you come up with! This is so exciting...Congrats! I can't wait to see all of your creations! Congratulations!! So glad Nichole has chosen you, otherwise I wouldn't have found your blog! Definitely will be adding you to my Favourites! Looking forward to seeing what else you have to show us. congrats... your cards are beautiful. Condgratulations! what an honor and for two months, lucky!! I cant wait to see your work and I'm glad to find another blog for inspiration. You have a very pretty syle. just like nichole said, ur cards have amazing small details, couldn't stop looking :P...awesome! and of course Congrats!!!!! Your work is so lovely and inspiring. I love visiting your blog. Congratulations! I look forward to seeing more of your creations. Wow - love your papertrey creations and can't wait to see more! Thanks for the chance to win! Congratulation! Can't wait to see all of your creations! What an honor. Your cards are beautiful. Congratulations! What exciting news. I get excited when PTI announces a new guest designer b/c it means that I have yet another blog to enjoy and be inspired by. I love your style and your cards are beautiful. 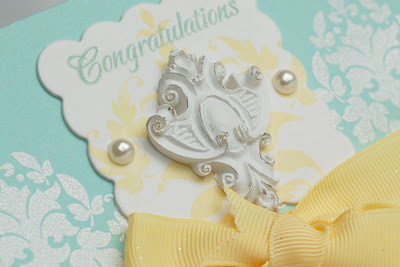 Congratulations...I now have a new blog to check out and get some great ideas...I love your scrapbook pages. I have been inspired. Thanks! Love your blog! Your cards are so beautiful. I tend to shy away from yellows, but I just love your color combos. I am going to have changelle myself and start working with yellows. Congrats! 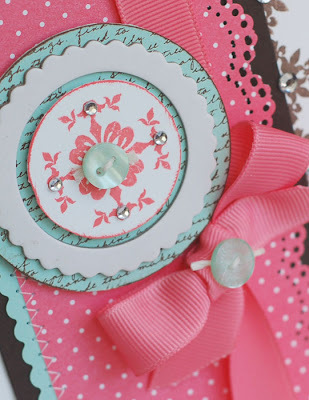 beautiful work~ I love your use of ribbons and beautiful trims and the soft vintage feel of your creations. Anabelle - I am so excited! I have been a long time admirer of yours and I'm just thrilled that you're the latest Guest Designer! I can't wait to see your awesome creations! Congratulations! Your cards are beautiful - love the colors and layout. Thanks for the chance to win the awesome package! Congrats! Looking forward to seeing more - I just love your style!! Congrats on the guest designer spot. I love your work. Congratulations!! Will enjoy coming to your blog. Your cards are beautiful!! Congratulations! Looking forward to seeing more of your creative and fun cards! Congratulations on being the Guest Designer for PTI! You totally deserve it! 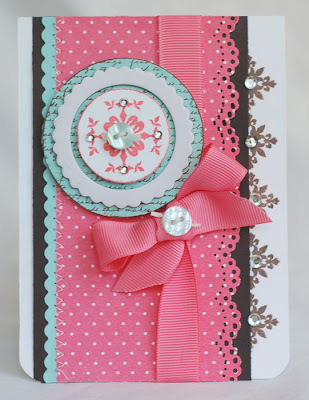 Love all the beautiful cards & scrapbook pages on your blog! Can't wait to see what you come up with next! Congrats to you! I hope you enjoy your month with PTI and I look forward to seeing your beautiful designs. Congratulations on DT! I am looking forward to seeing your work over the next few months! Congratulations - how exciting! I love your work and can't wait to see what you do with the new PTI releases. Your cards are beautiful. Can't wait to see more. Thanks for the chance to win! Congrats on being the guest designer for PTI, I love their products too!! I am looking forward to seeing your creations!! Congratulations! 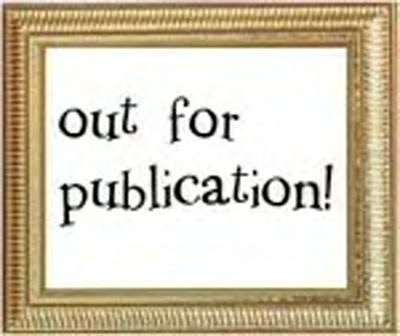 I heard the good news from the Papertrey blog -- and now your blog's in my reader, too! Your work is beautiful. Have fun! Congratulations! Your work is beautiful. Looking forward to seeing more of your creations. Congrats! Love PTI. Love your style. Thanks for the inspiration. Your blog is beautiful and fun to look at !! Congrats and your cards/projects are amazing. what beautiful work--i'm excited to meet you! looking forward to seeing what you'll do with the latest PTI offerings. thanks for the chance to win. Congratulations on your Guest DT spot! I can't wait to see your creations! Congratulations!! What an honor! I can't wait to see more of your work over the next couple of months! Congratulations! Just found you through Nichole's blog. I'm loving your cards I've seen so far so I'll probably be spending my kids' naptime perusing through your blog! I can't wait to see what you do with the new PTI! Lovely cards. I am not familiar with Paper Trey....will check it out. I have stumbled upon some awesome blogs lately but never yours! Where have you been hiding in cyberworld? Love your style & can only think that the recipients of your cards feel mighty special! Anabelle, great cards! You're a lucky girl to be chosen and from the look of your work they're lucky to have you. Congrats girl! Conratulations! Your cards are beautiful! Your cards are stunning, I'm so glad to have found your blog it's very inspiring. WOW!! this is stunnin..sheer beauty!! love every card of your and the colors!! I got to learn lots from you.. Welcome to PTI. I love the combination of Melon Berry, Aqua Mist and chocolate, that you used on the one card, very pretty. Will be checking in often to see more. I am so happy for you. You work is beautiful--so feminine. Looking forward to more. Wow ! Love the cards. Hope I get a chance to check them out. xo Meagan. Your cards and blog are wonderful! I can't wait to see your new designs. Thanks! Congratulations! 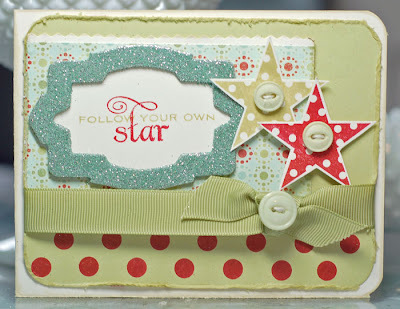 I just found your blog through WCMD and was so impressed with all your cards and projects. Can't wait to see what else you do with my favorite stamps! Congrats! What beautiful designs! Very inspiring!! Thank for the chance to win! I love your creativity and style! What a wonderful giveaway! Thanks for the chance to win! Congratulations! Your creations are lovely. I'm a huge PTI fan, too, and your work inspires me. Many congratulations! I am one of the "new" converts to the PaperTrey team visiting their sites almost daily. I look forward to your creations! Love your vintage look cards. Congratulations on your addition to Papertrey. The team really is amazing. Exciting! Can't wait to see everything you do with all the PTI goodies! Congratulations! Can't wait to see more of your beautiful work! I love your style!